Interview questions on Algorithms, Programming: What is the Radius of the Circle? For any rectangle, the diagonals are of equal size. 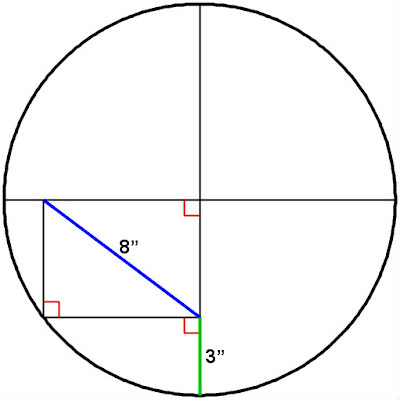 For this rectangle, the other diagonal gives the radius, and it is same as the blue diagonal. So, the radius is 8".